How Christianity differs significantly from other religions is a subject often discussed in our shrinking world. We see a mixture of cultures, nations, races and religions on a scale unprecedented in history. We require no more than twenty-four hours to reach any spot on earth from our local airports. Television brings into our living rooms the Dalai Lama seen in Pakistan, Muslims bowing in Iran, and racial and religious wars in Africa. Over 563,000 students and postdoctoral scholars from over 212 countries of the world came to the United States in the year 1996-1997 to study in more than 2,428 colleges and universities in every one of the fifty states. Brightly colored saris on graceful Indian women and striking turbans on erect Sikhs are not unfamiliar sights in local malls and small college towns. In addition, thousands of diplomats, businesspeople and tourists come to America every year. These newcomers find their way into parent-teacher organization meetings, service clubs and churches to speak on their cultural and religious backgrounds. They are sincere, educated and intelligent. They are often interested in learning about Christianity, and we can learn from them. It’s common to hear statements like, “Let everyone just believe in God”; “Why bring Jesus Christ into it?”; “Agree on God and that’s enough.” But can Christianity blend in with other religions and drop being exclusive? Fundamentally, for the Christian, it is impossible to be theologically inclusive. The cornerstone of the Christian message is Jesus Christ—God come to earth. Without this basis, any other parts lack meaning. Multiple verses in the New Testament give this basic thought. I’ll quote three of them here: “Salvation is found in no one else, for there is no other name under heaven given to men by which we must be saved” (Acts 4:12, emphasis added). The apostle John said, “No one has ever seen God, but God the One and Only, who is at the Father’s side, has made him known” (John 1:18, emphasis added). Jesus made his summary statement, “I am the way, the truth and the life. No one comes to the Father except through me” (John 14:6, emphasis added). Christians believe this not because they have made it their rule but because Jesus Christ and the Bible, their source, states it. In fact, this core message is woven through both the Old and New Testaments. Christians are not giving their own bias but are explaining the biblical facts. If we should say we would like to change this truth and vote in something more inclusive, here is our dilemma. We would be changing something that is not humanly changeable. It is fixed and is either completely true or completely false. It is “true-truth,” as Francis Schaeffer stated it. There are some laws or truths we could change. For instance, the penalty for driving through a stoplight is determined by society’s vote. It is not inherent in the act itself. The penalty, likewise, could be set at fifty dollars or at ten dollars, or the law could be abolished completely. Other laws, like gravity, are irrevocable truths we cannot change. They are not socially determined no matter what the opinion polls or culture. Truth is solid, fixed and certain. The penalty is also not socially determined. People could vote unanimously to suspend the law of gravity for an hour, but no one in his right mind would jump off the roof to test it! No, the penalty for violating gravity is inherent in the act itself, and the person who violated it would be picked up with a blotter despite the unanimous resolution! Having seen that spiritual truth is not arrived at by a majority vote, a general consideration of truth does help. To begin with, sincerely believing something does not make it true, as anyone will testify who has ever picked a wrong bottle out of a medicine cabinet in the dark. We’ve previously said faith is no more valid than the object in which it is placed. It doesn’t matter how sincere or how intense the faith. A nurse put carbolic acid in the eyes of a newborn baby, sincerely thinking she was applying silver nitrate. Her sincerity did not save the baby from blindness. Ravi Zacharias gives helpful insight on the laws of logic. First, there is the either-or principle, the law of noncontradiction. 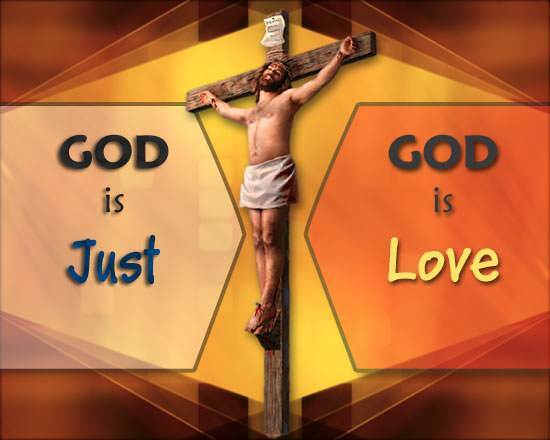 Jesus Christ is God or not God: true or not true. If Jesus Christ is God, Brahma or one of the 330 million gods cannot also truly be God. If Jesus Christ was the author of creation, as the Bible teaches, it was not Brahma. It was either one or the other. Think back: the carbolic acid was either poisonous or not! This logic would be like my saying “There is no bus coming. I will cross the street.” But you would say, “There is a bus coming. I will not cross.” We would know the truth when I cross the street. One must be true and the other not. The opposite logic would be the both/ and principle. This would say that both Brahma and Jesus are truly God, the polytheistic view. “Have as many Gods as you want” goes along with this view. The application of the both/ and principle leads to an impasse in our thinking. Consider creation, for instance. Which God or gods created the world? Which God will tell me truth about life? Which one shall I pray to? How do I know which one is good and which one is not? Can there be Jesus and a plethora of other gods? Take, for instance, the fact of the deity, death and resurrection of Jesus Christ. Christianity affirms these facts as the heart of its message. Islam, on the other hand, denies the deity, death and resurrection of Christ. On this very crucial point, one of these mutually contradictory views is untrue and wrong. They cannot both be simultaneously true, no matter how sincerely each is believed by any number of people. A great deal is said about the similarity of world religions. Many Christians naively assume that other religions are basically the same, making the same claims and essentially doing what Christianity does but in slightly different terms. It would seem that such an attitude of using the both/ and principle makes all religions identical, for example, “Both Islam and Christianity are true” (although Muslims would also strongly disagree with this). “Add another God” would be another application of the both/ and principle. There may be some similarities between religions but the differences far outweigh them. One of the similarities is the belief in the Golden Rule, which is contained in almost every religion. From Confucius’s time we have the statement, in various forms: do unto others as we would have others do unto us. This is sometimes assumed to be the essence of Christianity. If all Jesus Christ did was give us the Sermon on the Mount and the Golden Rule, he would have actually increased our frustration. Few of us can consistently keep these. Our problem has never been not knowing what we should do. Our problem, rather, has been lacking the power, the ability, to do what we know is helpful, moral, good, just, honest and kind. Jesus Christ not only taught the Golden Rule; he came to help us keep it. This is essentially the major distinction between Christianity and other religions. He offers us his power to live as we should, gives us forgiveness as a free gift. He gives us his “new” life, his own righteousness. We can start over again. He does something for us we cannot do for ourselves. First of all, God is loving. Out of His compassion He made us and desires to have a relationship with us. He continues to patiently extend His love to us. Many people prefer to stop here, but there’s more that needs to be said. Secondly, you see, God is holy. This means that He is absolutely pure and he is separate from everything that is impure. The third characteristic of God is He is just. In other words, He is like a good judge who can’t wink at a broken law: rather, He must mete out justice. The most difficult thing for us to comprehend is God’s total separateness from us compared to our standard of holiness. When we rise in anger over senseless and vicious acts on the helpless, we experience an inkling of his abhorrence of evil. “He cannot even look at evil,” the Bible asserts. It is God’s nature to be righteous and just. God’s infinite holiness far exceeds ours, like comparing the difference between the top of the tallest tree as our standard of holiness and the moon as God’s standard. One college graduate told me soberly, “If God grades on the curve, I’ll be okay.” He felt he was about average in his life and morals. God to him was a professor with set guidelines, and he came out average. To get a brief summary of the heart of biblical Christianity we will look at the most universally quoted verse in the Bible—John 3:16. “God so loved the world,” each one of us whom he created. The words “so loved” mean that God loves us more than a mother cares for a child or a father slaves to support his family. God cares for each of us. “He gave his one and only Son, Jesus Christ” to come to earth, “to rescue us,” to be our “truth and life.” All of our ethical and moral remedies have failed. We have turned away from God’s way. We need a Savior. This is not our struggling toward God, but God reaching down for us. He knew more rules would not help. Instead the holy and just God came to earth, and was called Jesus, “for he will save his people from their sins” (Matthew 1:21). “That whoever believes in him”—the offer is open to all. Anyone who will come, he lovingly receives. Whoever says to him “Yes, I need you” will know he answers. He brings divine help and forgiveness. He gives a whole new life and cements a relationship with himself. Give yourself to him and you will find your real self, as your Creator intended you to be. “Shall not perish but have eternal life.” He rescues you, “saves” you from “perishing” for your sins and failures. You will be forgiven, freed from binding habits, from persistent emptiness and repetitious guilt. Even those “little sins” of the generally moral person will be forgiven. Eternal life is God’s life that he gives us. “A new person,” the apostle Paul calls it. Whatever our circumstances, he receives us and gladly rescues us from the seas of uncertainty and emptiness. Imagine life with your hand in his hand each day! God became man to turn creatures into children, not simply to produce better of the old kind of people but to produce a new kind of person. Receiving him into your life is not a do-it-yourself proposition. It is not saying, “Work hard at it and follow this way and you will gain favor with God.” It is not a set of swimming instructions for a drowning man. In Christianity, Jesus Christ himself comes to be our life preserver. A “life preserver” is one who jumps in, helps and saves. Jesus described his coming as “giving his life a ransom for many.” He is God-come-to-earth alongside us to help. D.T. Niles explains that in other religions people are left to do the best they can, follow the rules and do “good works.” These are all “in order to” gain their own particular promised goal (and every religion has some promised utopia and euphoria that is offered). For the Christian, doing good deeds is the result of gratitude for the Savior who became our life preserver. They are an expression of gratitude and commitment to follow his guidance. The mystery of God’s love and Jesus’ coming as our Rescuer is found in his final death on the cross. This innocent God-man was cruelly slaughtered and took the punishment that all sin rightly deserved. It was the punishment that you and I deserve. At the cross alone the love and justice of God are bound together. Here our moral and human failures can be declared forgiven. The cross speaks the message of love and forgiveness whether seen on a church tower or jewelry counters: love and justice are satisfied. William Lane Craig tells a story of three men’s reactions when they finally saw Christ’s reality. Three men stood in a crowd before God’s throne on the Judgment day. Each had a score to settle with God. “I was hanged for a crime I didn’t commit,” complained one man bitterly. “I died from a disease that dragged on for months, leaving me broken in body and spirit,” said another. “My son was killed in a prime of life when some drunk behind the wheel jumped the curb and ran him down,” muttered the third. Each was angry and anxious to give God a piece of his mind. But when they reached the throne and saw their Judge with his nail-scarred hands and feet and his wounded side, each mouth was stopped. They dropped silently to their knees at the sight of their Savior. From this picture of God’s gift, we will briefly contrast three other major world religions. What their view of salvation is and what they are pointing toward will be seen as quite different from the picture we have drawn so far. Nirvana he described as a state achieved by extinction of the individual’s existence through the absorption of the soul into the supreme spirit. Reaching nirvana is likened to the blowing out of a candle (self-annihilation or total nothingness). Buddha’s diagnosis was his four basic “noble truths”: (1) suffering is universal, (2) the cause of suffering is desire—that eager grasping by the self, (3) the cure for suffering is the elimination of desire, and (4) desire is eliminated by following his Eightfold Path to Enlightenment. The Eightfold Path, common to all Buddhism, includes right knowledge, right feeling, right speech, right action, right living, right effort, right insight and right meditation. Elimination of desire is the central theme and goal to bring a person to nirvana—ultimate bliss achieved by absorption of the individual into the supreme oneness of the universe—again, like the blowing out of a candle. In addition, Buddha accepted the ironclad law of cause and effect known as karma, that is, all actions have an effect, either good or bad in this life or the next rebirth. The belief in successive lives or transmigration of the soul to another earthly life will be determined by our actions in this life. This specifically implies the passing of the “spark” of life or the soul to become at death some other body or form. Buddha’s intent was evidently to help his followers escape the cycle of suffering and desire through birth and rebirth. In Hinduism the ultimate goal is also nirvana, but the term here has a different meaning. Nirvana is ultimate reunion with Brahma, the all-pervading force of the universe that is the Hindu’s chief of 330 million gods. This experience is likened to the return of a drop of water to the ocean. Individuality is lost in the reunion with their god, but without the total self-annihilation of a person’s identity as taught in Buddhism. Transcendental meditation or yoga is intended to bring a person into union with an impersonal universe or “god”. Underlying these practices is a view of the sensory world as illusory. For the devout Hindu, nirvana is achieved through a continuous cycle of birth, life, death and rebirth. As soon as any animal, insect or human being dies, that being is immediately reborn in another form. Whether one moves up or down the scale of life depends on the quality of moral life one has lived. If it has been a good life, one moves up the scale with more comfort and less suffering. If one has lived a bad life, one moves down the scale into suffering and poverty. If one has been bad enough, that person is not reborn as a human being at all but as an animal or insect. This reaping in the next life the harvest of one’s present life is also called the law of karma. It explains why Hindus will not kill even an insect, not to mention a sacred cow, though these inhibitions pose grave sanitation and public health problems. What seems strange and incomprehensible to someone in the Western world has a very clear rationale to the Hindu. In Islam, heaven is thought of as a paradise of pleasure and indulgence. It is achieved by living a life of strict abstinence from self-indulgence of any kind while on earth. The teaching is that God (Allah) is an absolute unity and the Creator and sovereign Lord of the universe. He is also the ultimate Judge of all people. Muhammad, the prophet of Allah, rejected the idea that Jesus, a human being, could be God. Jesus is hailed as a great prophet of Allah but not as God incarnate. Five duties are the pillars of Islam. They include repeating a creed, making a pilgrimage to Mecca, giving alms to the poor, praying five times daily and keeping the fast of Ramadan (one month of fasting during the day). These religions are different from Christianity in basic beliefs. These too imply the idea of doing as opposed to the cross of Christ rescuing and forgiving us. Again, there is no possibility of assurance. I have often asked Hindus, Muslims and Buddhists if they will achieve nirvana or go to paradise when they die. I have not yet had one reply in the affirmative. Rather, they referred to the imperfection of their lives as being a barrier to this realization. There is no assurance in their belief systems. Consequently, salvation depends wholly on an individual’s working to gain merit. In his book The Abolition of Man, C.S. Lewis points out that there is moral instruction of some kind in every religion. But in Christianity the significant and important difference is in the living Christ. His Spirit, given to each one who believes, provides the power to obey God’s teachings and comes to those who believe in God’s Son and open themselves to his leading. Even the fundamental concept of God, on which there is a plea that we should agree, reveals wide divergences. To say that we can unite with all who believe in God, regardless of what this God is called, fails to recognize that the term God means nothing apart from the definition given it. 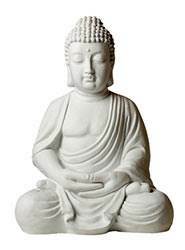 Buddha, contrary to popular belief, never claimed to be deity. In fact, he was agnostic about the whole question of whether God even existed. If God existed, the Buddha taught emphatically that he could not help an individual achieve enlightenment. Each person must work this out for himself or herself. Hindu teaching is pantheistic. 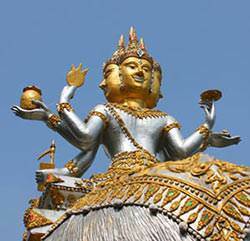 Pan means “all” and theistic refers to “God.” Hindus believe that God and the universe are identical. The concept of maya is central to their thinking. Maya is the dualistic perception that the physical world is an illusion: we think we are personal, but we are not. To this philosophy, all thinking and feeling is illusory. Reality is instead spiritual and invisible. Brahma is the ultimate reality, the Universal Soul. Every person—indeed, everything that exists—is Brahman since all is god. Buddhism also teaches that the material world is an illusion. It is readily apparent why modern science came to birth through Christians, who believed in a personal God and an orderly universe, rather than in the context of Eastern philosophy. This explains why most scientific progress has come from the West rather than the East. Why would a person investigate what he believes is an illusion? 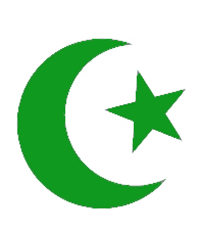 In Islam and Judaism we have a God much closer to the Christian concept. Here God is personal and transcendent—separate from his creation. Surely, we are urged, we may get together with those who believe in God in personal terms. But as we examine the Muslim concept of God—Allah, as he is called in the Qua’an—we find he is not the God and Father of Jesus Christ but rather a God who is utterly transcendent. Knowledge of Allah comes from the Qu’ran, which came through Muhammad. He taught that he was the final prophet of Allah. The picture of God in the Qu’ran is of one who is totally removed from people, one who is capricious in all of his acts, responsible for evil as well as good, and who is certainly not the God who “so loved the world that he gave his one and only Son.” It is a totally distant concept of God that makes the idea of the incarnation of Jesus Christ utterly inconceivable to the Muslim. How could their god, so majestic and beyond, have contact with mortal human beings in sin and misery? The death of God the Son on the cross is likewise inconceivable to a Muslim, since this would mean God was defeated by his creature, an impossibility to them. Buddhism: essentially agnostic regarding the existence and character of God. The Jewish concept of God is closest of all to the Christian. Isn’t the God whom they worship the God of the Old Testament, which we accept? Surely we can get together on this! Again, however, closer examination shows that the majority of Jews do not admit their God is the Father of Jesus Christ. Some may believe Jesus was a great man, but not their Messiah (Savior). In fact, it was this very issue that precipitated such bitter controversy in Jesus’ time. God we accept, they said to Jesus Christ, but we do not accept you because as a man you are claiming yourself to be God. This, in their view, is a clear case of blasphemy. In a conversation with the Jewish religious leaders, Jesus discussed this question. “God is our Father,” they said. Jesus said to them, “If God were your Father, you would love me, for I came from God… He who belongs to God hears what God says. The reason you do not hear is that you do not belong to God” (John 8:42, 47). It is quite obvious the Jewish leaders were not sincere seekers. If people are seeking the true God, their sincerity will be evident and their efforts rewarded. Missionary history has numerous examples of those who have been following other gods or an unknown god but who have responded when presented with the truth about Jesus Christ. His message opens their understanding that he is the true God, whom they have been seeking. Of the great religious leaders of the world, Christ alone claims deity. It really doesn’t matter what one thinks of Muhammad, Buddha or Confucius as individuals. Their followers emphasize their teachings. Not so with Christ. He made himself the focal point of his teaching. The central question he put to his listeners was, “Who do you say that I am?” When asked what doing the works of God involved, Jesus replied, “The work of God is this: to believe in the one he has sent” (John 6:29). On the question of who and what God is, the nature of salvation and how it is obtained, it is clear that Christianity differs radically from other world religions. We live in an age in which tolerance is a key word. Tolerance, however, must be clearly understood. (Truth, by its very nature, is intolerant of error.) If two plus two is four, the total at the same time cannot be twenty-three. But one is not regarded as intolerant because he disagrees with this answer and maintains that the only correct answer is four. The same principle applies in religious matters. One must be tolerant of other points of view and respect their right to be held and heard. We cannot, however, be forced in the name of tolerance to agree that all points of view are equally valid, including those that are mutually contradictory. This would be nonsense. It is not true that “it doesn’t matter what you believe as long as you believe it.” Hitler’s slaughter of six million Jews was based on a sincere view of race supremacy, but he was desperately wrong. What we believe must be true in order to be real. Again, Jesus said, “I am the way and the truth and the life. No one comes to the Father except through me” (John 14:6). If we are to know the true and living God in personal experience, it will be through Jesus Christ.